New industrial technologies in the form of smart machines, smart factories, cloud-based services and advanced data analytics have begun to transform machine shops and factory landscapes across the globe. The early payback from implementing such systems has primarily been in the form of increased efficiencies. However, improved efficiencies do not necessarily translate into competitive advantage. If a one-dimensional view of potential benefits is adopted, the long-term opportunities for strategic differentiation will be relatively small. After all, competitors also evolve while a particular company improves its efficiency through deployment of one or two digital-based solutions. Over time, most of the industrial players within a given market will implement the new technologies and accrue the same efficiency gains. In order to gain true competitive advantage, both machine OEMs and industrial end users will need to maximize the impact of digital advancements by combining them in a comprehensive program. A critical success factor for capturing digital opportunities is to combine the various technologies in such a way that new revenue streams are created. Beyond operational efficiency, strategic uniqueness has to be established, and the means for establishing that uniqueness is through the evolution of new business models. In contrast to the classic machine automation approach that relies on select, locally generated data, the new smart machine environments enable business models that leverage the advanced availability of historical, contextual, operational, process, environmental, and diagnostic data. Data specialists with advanced tools can interpret relevant data and use the derived information to monetize processes. This is achieved by factoring in high value information about efficiency, the reliability of machines, and interconnection with other processes. This presents new opportunities for innovation and the development of new products and services. To most stakeholders, the value of data seems to be clear, and this value is often interpreted as creating efficiency and productivity gains. However, in the case of digitalization, the definition of value can extend beyond that and into the realm of both short and long-term revenue generation. The main benefit could be a higher level of customer loyalty and/or a business model based on much lower costs. For example, through advanced collection of data, organizations can better understand how their customers are using their products, and with this knowledge, a higher intimacy with the customer can be established which translates into longer term business. More data also means better information regarding the state of the products in use. This contributes to better business reliability planning and more precise forecasts of service assignments and storage of spare parts. This synergy can be referred to as collaborative value. It enables the discovery of new or improved products and services that were never expected or fathomed in the non-digitalized world. 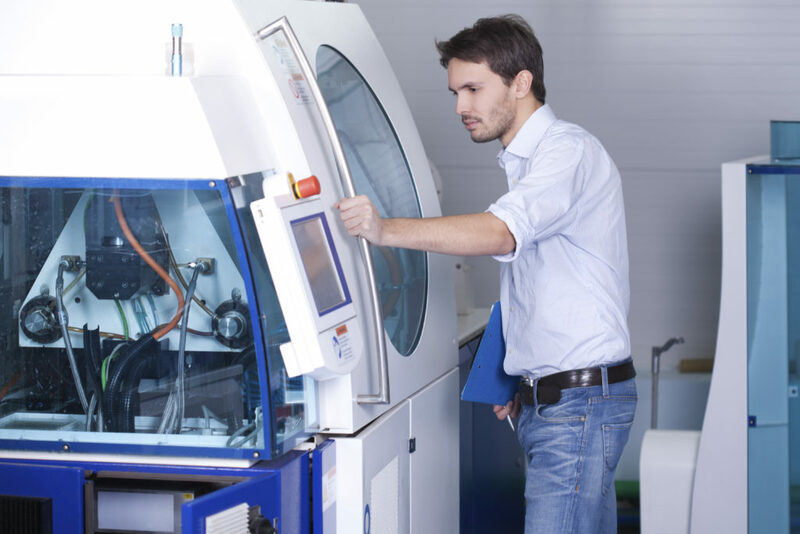 In the case of OEM machine builders, for instance, a new business model could now place less emphasis on machines sold, and more on revenue generated through sales of services surrounding those machines. A very good example of this is how Xerox transformed the copier business 60 years ago. In 1959 the technology of xerography was brand new and expensive. “Xerox copies” made office worker’s lives easier by allowing them to produce paper copies without handling chemicals. Since the cost of entry was high at the time, instead of selling the copier machine, Xerox decided to lease the machine at a low cost and to then charge a per-copy fee if copies exceeded 2,000 copies per day. Xerox provided all the required supplies, service, and support and the customer could cancel the lease on only 15-days’ notice. At the beginning, the average business produced only about 15-20 copies per day. Therefore, Xerox took an upfront risk. However, the need for these types of copies then quickly accelerated and the Xerox copier became an indispensable piece of equipment for almost every business. The new business model paid off big for Xerox. For a period of 20 years, Xerox generated annual growth rates of more than 40% per year. In today’s digitalized world, where virtually everything can be offered “as a service”, new business models are ready to reshape the industry. To learn more about how digitization can improve your business performance, download this new whitepaper “Business Models for Smart Machines”.